The bye week is finally behind us and we can begin looking forward to Eagles football again. In order to get back in the swing of things, I was able to ask ColtsGab.com columnist Josh Dhani a series of questions about the match-up. Josh weighs in on the legacy of Peyton Manning, gives us his thoughts on Michael Vick, and tells us where each team will have an advantage on Sunday. To close, Josh gives us a final prediction on the game. Thanks to Josh for participating this week and I hope everyone enjoys the interview! EaglesGab: When I hear “Indianapolis Colts” I automatically think of Peyton Manning. When it’s all said and done, what do you think his legacy will be? Greatest quarterback of all-time? 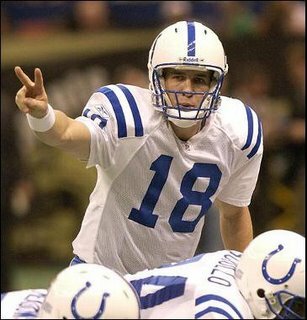 ColtsGab: Yes, I would say that he is the greatest quarterback of all time. Actually, just a day ago I wrote about him which you can read here. The guy is simply phenomenal. EG: Staying on the topic of Manning, will the Colts look at every season as Super Bowl or bust as long as he’s around? CG: Yes, I think so. Manning only has six or seven years left in him. To fully take grasp of everyone’s eyes, he needs to get at least 1-3 more Super Bowls to fully guarantee him a spot as the greatest quarterback of all-time to the naysayers. Manning has shown he can basically get to the Super Bowl every time. He can do it. Look at John Elway, he got his Super Bowls late in his career. I wouldn’t be surprised if Peyton can get a few more rings. EG: It seems as though the Colts have experienced a lot of injuries so far this year. Which injury has hurt the most and what back-up player has had the biggest impact filling in for an injury? CG: I would say Joseph Addai and Donald Brown being out. When Addai was out for the 30-17 win over the Texans, Mike Hart had to come in and start. Hart showed signs of his old days in Michigan, and had 84 yards of twelve carries. Then in the Chiefs game and up to the Texans game, he has been filling in for Donald Brown, and has showed he is capable of becoming a heavy-minute back. However, Addai and Brown gone really does open up a hole. Addai a great, elusive target. He can catch, run, block, and even pass (as he showed in a game-winning touchdown versus the Niners last season). Brown is one of the fastest players on the team and is a solid back-up who fits great in the Colts’ rotation. 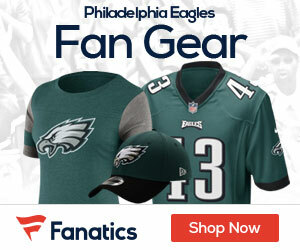 EG: The Eagles will start Michael Vick against the Colts. What are your thoughts on how he has performed this season and how do you believe he matches up against the Colts defense? CG: Michael Vick has been solid this season. I wanted him to start right after Donovan McNabb left. Right when Vick stepped up in the Packers game, I knew he was the Eagles’ future. I think Vick is going to be pretty good against the Colts’ defense, especially when he starts scrambling. The Colts’ linebackers could easily be tricked when Vick is going for play-action or throwing on the run. He is a monster, even if he is 30 years old. EG: On Sunday, where will the Colts have an advantage on offense? On defense? CG: I think the Colts will have an easy advantage on pass offense and pass defense. When Manning is under center, watch out. Plus, the Colts have Reggie Wayne, Pierre Garcon, and Joseph Addai (if he returns) as receiving threats. Jacob Tamme, too. The pass defense is very underrated. They have young, but very tough cornerbacks. They also have a great safety in Antoine Bethea, as he stops the deep passes down the middle. Along with that, the Colts have a scary pass-rush, led by Dwight Freeney and Robert Mathis. The linebackers have shown they can pass-rush pretty well, too. 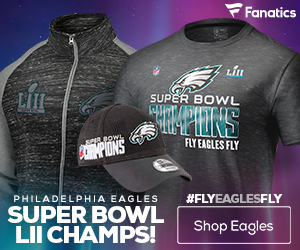 EG: Where will the Eagles have an advantage on offense? On defense? CG: The Eagles will have a nice advantage on the run game. With LeSean McCoy and Vick, the Eagles can really run over the Colts. Rush defense is also on the Eagles side as well. EG: What player could be a potential x-factor for the Colts on Sunday? CG: Hart will still be an X-factor whether he starts or becomes a back-up. He has been solid and if the Eagles don’t notice him, they’re in for some trouble. EG: Give me a score prediction. CG: I see the Colts edge out Philly, 27-21.